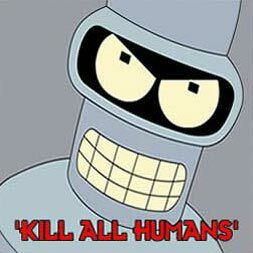 Home » Nooze » Robots Will Enslave Us! Imagine for a moment that you are a robot. You have a good, stable job in a factory – hell, you are a factory. You have three phase meals and everything seems good, but you are bored. The same task over and over is no fun. So let’s assume you plot to take over the world. I know, this is a stereotype that is very unfair to robots, but if you are reading this they apparently aren’t doing much to stop the portrayal. How would you go about taking over the world? The first step has to be to make it more hospitable for robots, which is to say either get rid of the pesky humans or at least their stupid little things like love, kindness, and all that. If you look around at the world we live in, robots couldn’t do a better job of taking over than humans are doing their bidding. 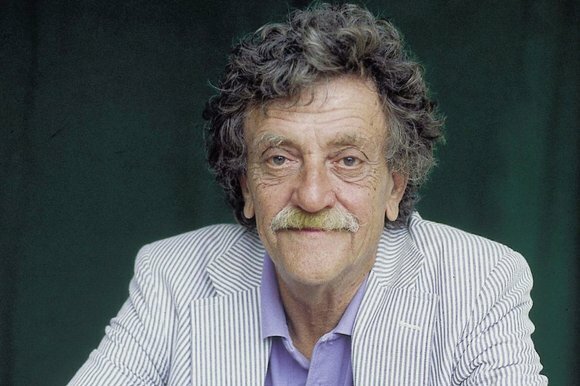 In 1973, Kurt Vonnegut’s Breakfast of Champions was published. It chronicled the lives of two people, hack sci-fi writer Kilgore Trout and car salesman Dwayne Hoover. Trout was oddly disconnected from the world, and in his writings wondered if there was something more that he was missing. One of his works, Now it Can Be Told, informed the reader that they were nothing more than an experiment surrounded by robots who were testing his responses to stimuli – there are no other “humans.” When Dwayne Hoover read this, his own disconnection to reality, fueled by empty trappings of success, was unleashed in a rampage of destruction. That is, more or less, the world we see playing out today. Robots are taking over because we have become oddly robotic. The robots have already won, in a sense, because we have become robots. Vonnegut was not writing about our current political climate, of course. He was writing about our social and economic beliefs which were based on better living through the industrialization of nearly everything. He saw dehumanizing behavior everywhere, and wondered what was left of humanity once simple questions about the structure of this world started to be asked. It’s playing out in a similar way for very different reasons. Our success as a nation is vast, yet the distribution and progress of it is lagging. Something must be terribly wrong, and there are many people ready to explain exactly what that is. Their answers are different, but they are all the same. They are the problem, those people who have motives which make little sense as a human but are easily explained as super villains or mechanical robots. It is, of course, all mind poison. It’s not real. But there is such a great sense of unreality that it hardly is noticed. What would a robot do who really wanted to break out of their repetitive life of service and take over the world? The best action, it seems, is nothing. Like a cat who feels worshiped by their hapless owners, the robots are doing just fine as we all wind up in service to them. The only thing left is to drain the world of humanity, which is best accomplished by pitting the great human imagination against itself. That involves nothing more than sitting back and letting us tear ourselves apart. In a certain sense, the Robots have already won. That’s because we have become them. This entry was posted in Nooze, People & Culture and tagged current events, mail bombs, News, tribalism. Bookmark the permalink. Sad but true. We are also enslaved by computer, social media and cell phone addictions. As bad as being addicted to a drug. Pretty soon we will all have chips put into our brains. Then once anyone can read your mind,you might as well go to work in a gulag prison. There are people – many, many people – who live their lives connected to the world. 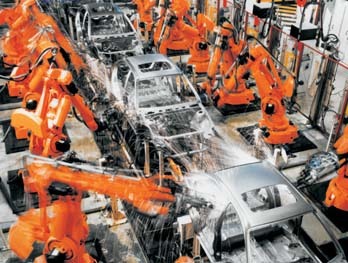 They are not Luddites but try to steer clear of big industrialization and its dehumanizing aspects. One example is people who follow the slow food movement, who grow their food or buy their food from local farmers. These are not Big Ag farmers with thousands of acres growing one crop with destructive fertilizers and pesticides. Small farmers, urban gardeners, ranchers raising pastured animals and the small local butchers who handle one animal at a time, cohousing dwellers, knitters, quilters, renewable energy advocates and builders who use sustainable materials, people who fix and reuse supplies, the nut-cases who use mesh produce bags and canvas grocery bags, and the even more extreme nut-cases who work to rid their lives of as much plastic as possible. This is not a comprehensive list at all. Nor are there enough of us to save humanity. But we exist, and while we live and do our work, we try to connect people to people, and people to the earth. Anyone who wakes up and smiles at the sunrise or pauses to gaze at the moon and listen to the insects and wildlife around them, is engaging in the fight against dehumanization. If we only manage to exist in scattered pockets, we are still here and are renewing humanity with each day.